Telltale has announced a new Season of Sam and Max video games. 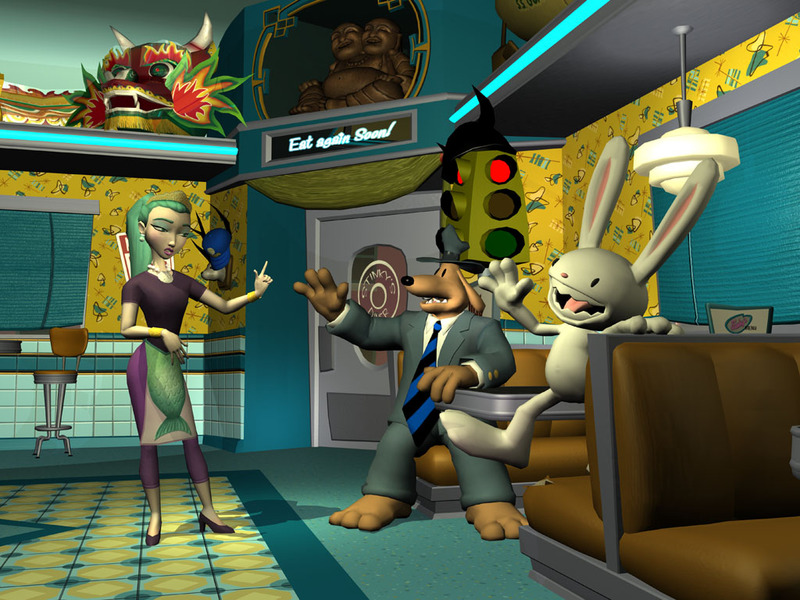 Season 2 starts in the fall, wouldn't be suprised if it was 100% monthly this time (Sam and Max Season 1 was a game series made up of smaller games that were a few hours long each that came out a month apart, except between 'episodes' 1 and 2 which was longer so they could listen to fans and fix any problems with 1 for the rest of the series). Gametap members get them as part of their normal subscription and anyone else can by it from Telltale as a download the next day once the releases start. Grab your luger, hop in the car, because the 6-foot tall anthropomorphic dog in detective's clothing and the hyperkinetic rabbity thing are back and I'm quite happy that it doesn't look like they will vanish away anytime soon. Got this info from Telltale Game's own stuff, which I don't normally source, but I'm linking to their Sam and Max site under sources for anyone who wants to buy Season 1 online, on disk, or to just find out what 'Sam and Max' are.